The Art Deco movement was a glamorous new style that captured the excitement of the Machine Age and the sophistication of the Roaring 20s. Art Deco was officially launched in Paris in 1925, and rapidly took hold throughout the rest of Europe and in the United States. The style was incredibly influential, as it encompassed design in art and architecture, fashion and jewelry, industrial and interior design, graphic arts, and even film. This is a look into the elegant world of Art Deco style. The beginning of the Art Deco movement can be traced to the 1925 Exposition Internationale des Arts Décoratifs et Industriels Modernes which was held by a group of Parisian artists and artisans. Of course, no art movement springs from nothing, and the Art Deco, or Style Moderne as it was known at the time, had an eclectic conglomeration of influences. It had its roots in earlier modern art theories, such as Cubism and Futurism. Visually, the Style Moderne referenced the mathematical, geometrical, and crystalline forms that were the hallmark of Cubism, and conceptually, Art Deco had much in common with the passionate love of the Machine Age that underlay the Futurist works of the preceding decade, although without the aggression. 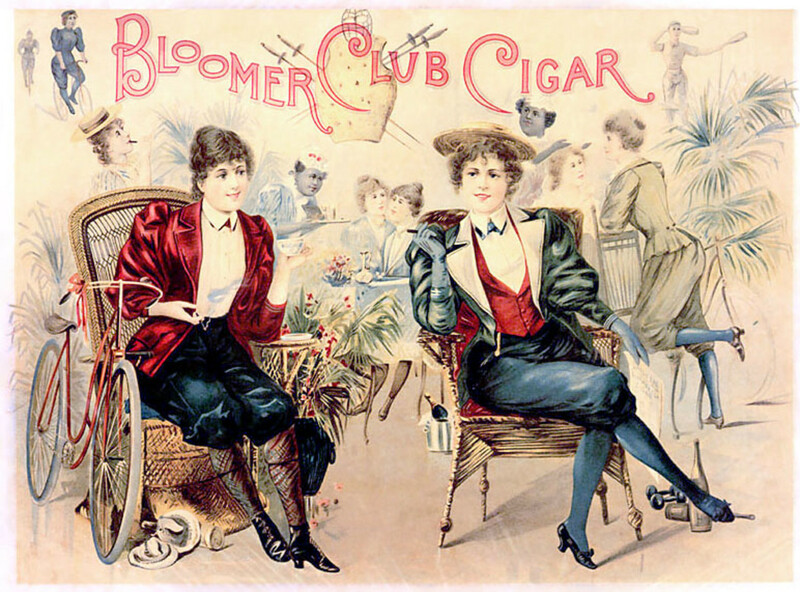 All of this combined into a style that was novel, coolly elegant, and broadly appealing. Art Deco represented a departure from the Art Noveau movement which was popular in the earlier part of the 20th Century. While Art Noveau was all about graceful curves and beautiful natural motifs, such as flowers and birds, Art Deco was conceived as a tribute to the man-made world. Keep in mind that the first quarter of the 20th Century saw the rise of the automobile, aviation, electric lighting, and towering skyscrapers. There was a great deal of excitement in all of these changes and technological progress, and the Art Deco movement captured that optimistic and forward-looking spirit. The Style Moderne is known for its straight lines and rectilinear forms, a use of repetitive geometric shapes, and bold designs. Stepped forms were another important element in Art Deco, as can be best seen in some of the famous buildings that were created in this style. Other favored components were trapezoids, zigzag lines, and a strong use of symmetry that could only be found in man-made objects. Motifs such as chevrons, sunbursts, spilling fountains, and even automobile grilles were key parts of the lexicon of Art Deco design. Art Deco found a mass audience for its streamlined aesthetic and purely modern flavor. In keeping with an admiration for the new, Art Deco designers utilized materials that were clearly man-made, such as stainless steel for architecture and Bakelite for costume jewelry. Lacquer, inlaid wood, and glass were other popular choices for creating the sleek lines and high contrast pattens of the style. Cool colors were most common, such as platinum, diamonds, and sapphires for jewelry. In home décor, the Art Deco palette can be seen in shades of ice blue mixed with reflective chrome and glass furniture. Mirrors were a popular accent, and even they took on the sleek lines and stepped forms of Art Deco style. It is important to remember the cultural context of the Art Deco period. 1925 was not long after the end of the devastation of World War I. The war years had been a sobering period in which the world had its first (and they had hoped last) taste of the total destruction that could be caused by modern warfare techniques and equipment. The term "shell shocked" was coined during World War I to describe the combat stress reaction that was suffered by countless soldiers as a result of grueling trench warfare. After enduring this living nightmare, the public was ready to put seriousness behind, and embrace the glamor and opulence that characterized the early version of Art Deco design. Art Deco was an integral part of the character of the Jazz Age. 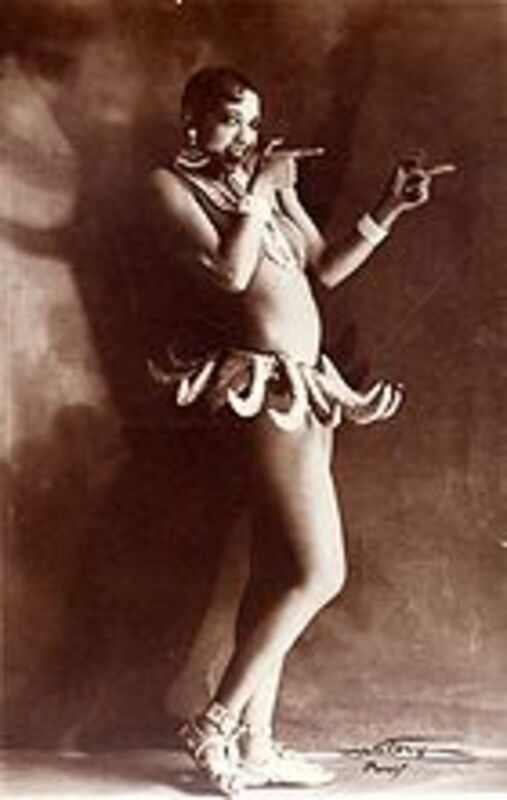 In smoky Parisian nightclubs like the ones where Jazz Age icon Josephine Baker performed and the swinging speakeasies in the United States where flappers rolled their stockings as they danced the Charleston, the purely modern spirit of Art Deco was all the rage. The glamor of an international sophisticate living the high life was all wrapped up in the Roaring 20s and the Art Deco image. To many, F. Scott Fitzgerald's classic The Great Gatsby is the perfect expression of this era between the two World Wars. Art Deco influence can be seen in the fashion and jewelry of the 1920s. When you look at the dresses worn by the flappers, you will immediately notice the straight silhouette of the gowns, which echoed the rectilinear shapes that were so characteristic of the Style Moderne. The shift dresses worn by the flappers were a radical departure from the corseted attire that preceded them, and were all a part and parcel of the new modernism and the liberated spirit of the young women of the Jazz Age. 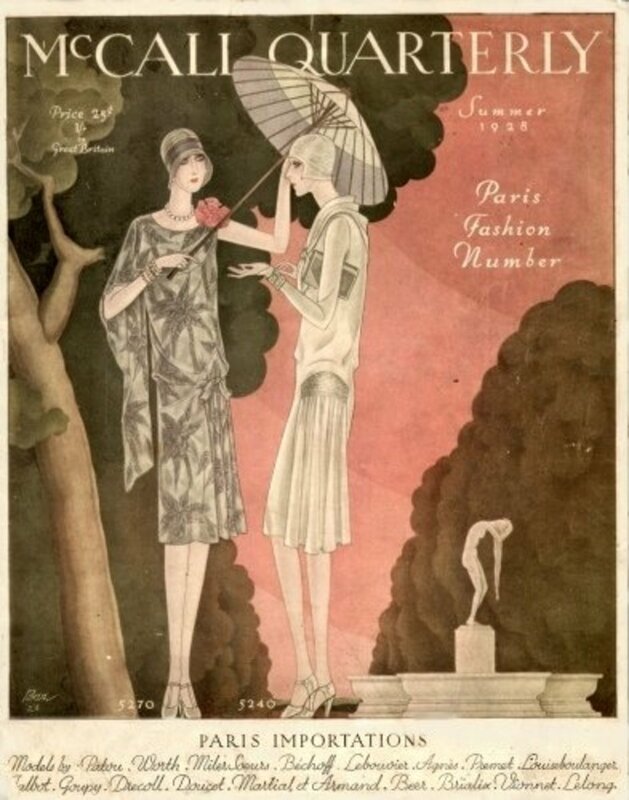 Art Deco design is also quite evident in the triangular and chevron designs that appeared in the dresses of the 1920s, as well as in the opulence and glamor of the reflective sequins that were such a popular trim for evening. Towards the end of the 20s, the favored lines of Art Deco could even be found in the zigzag handkerchief hems that were in vogue. 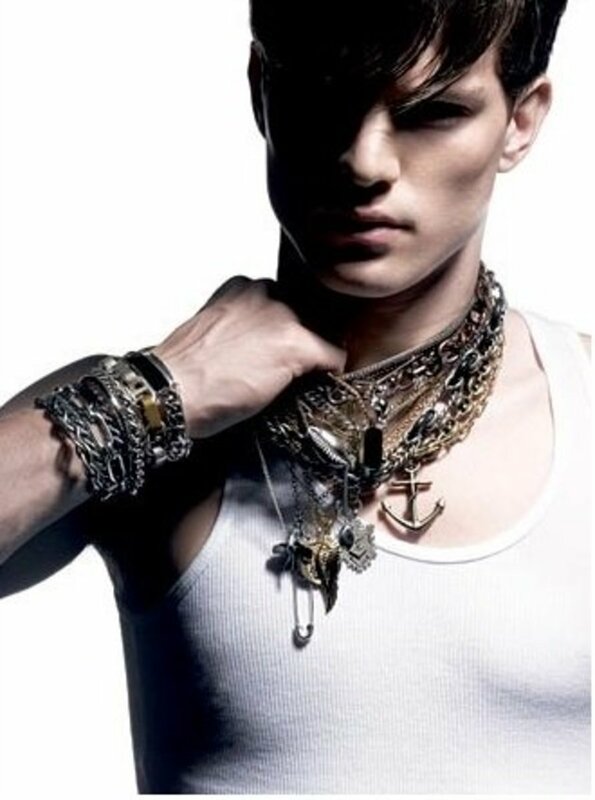 Of course a whole new way of dressing called for an entirely new style of jewelry. The jewelry of the Art Deco period is some of the most striking and sought after that has ever been created. Some of the biggest names in fine jewelry were responsible for designing incredible wearable works of art. Cartier of Paris and Tiffany and Co. of New York City crafted spectacular necklaces, bracelets, earrings, rings, and brooches in the Art Deco style. The pieces are easily distinguished by their repetitive geometric forms. Many of the same shapes that can be found elsewhere in Art Deco design were also integral to the jewelry of the day. Zigzags, triangles, and open square links were all hallmarks of the period. Platinum was the perfect medium for Art Deco jewelers. The other white metals, silver and white gold, were also popular, with yellow gold seen less frequently. 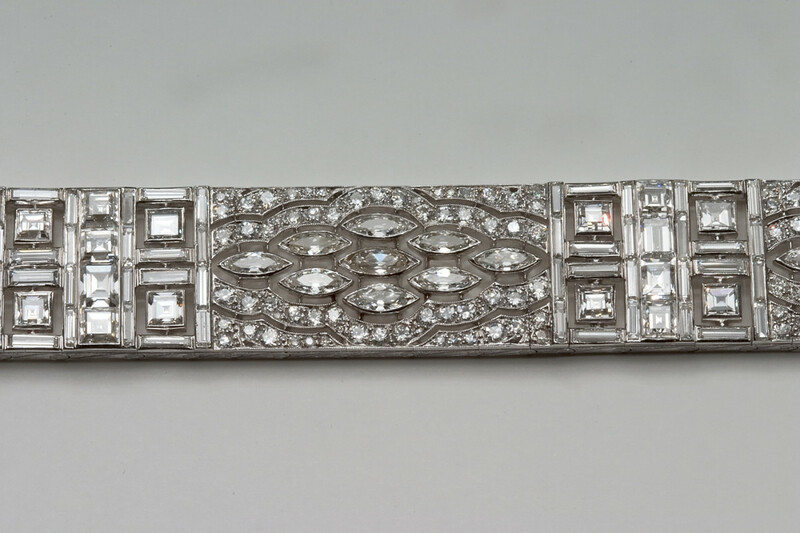 Diamonds were the basis for many pieces of Art Deco jewelry, particularly in the baguette and marquis shapes that followed the lines of the Style Moderne. Sapphires, rubies, emeralds, and jade were popular accents for the diamond jewelry. The bold contrast of red or black lacquer was another trend in Art Deco jewelry. Another jewelry trend that came out of the Art Deco period was a newfound respect for blatant costume jewelry. Fashion designers Coco Chanel and Elsa Schiaparelli helped to popularize what Chanel called "junk jewelry" with their fabulous fakes. The new costume jewelry was fun and sporty, and was made possible by new technological innovations, such as the creation of Bakelite, a hard plastic that was molded into everything from bangles to ear clips to brooches. The Art Deco influence pervaded every corner of the jewelry world; for instance, silver artisans like the renowned Georg Jensen of Copenhagen added bold patterns in black lacquer to their pieces in the spirit of the new art movement. There were many iconic artists of the Art Deco period. Rene Lalique, a jeweler and glass artist, is one of the best known. He made many of the curving figures that were popular during the Art Nouveau era, but during the 1920s, he became an important figure in Art Deco. The painter Tamara de Lempicka was one of the most famous artists of the day. 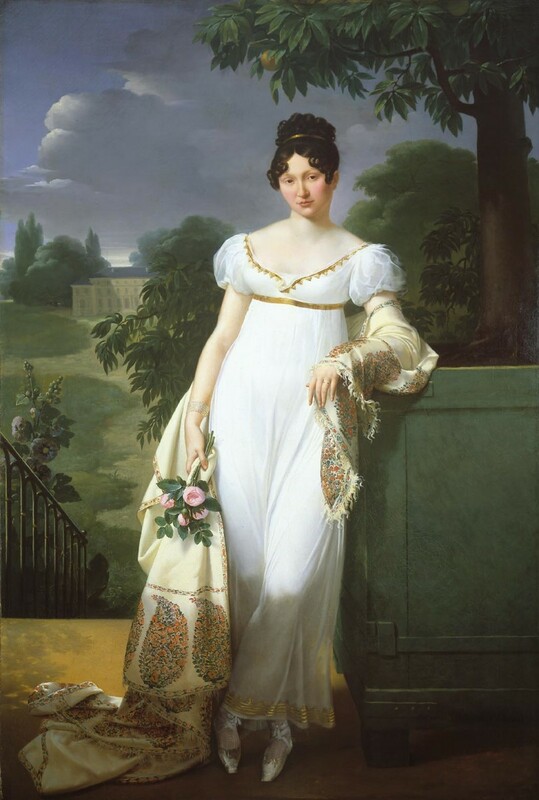 Born in Poland, she immigrated to Russia, only to flee to Paris during the Bolshevik Revolution. Her spare and stylized paintings are an excellent example of how the Art Deco aesthetic translated to the canvas. 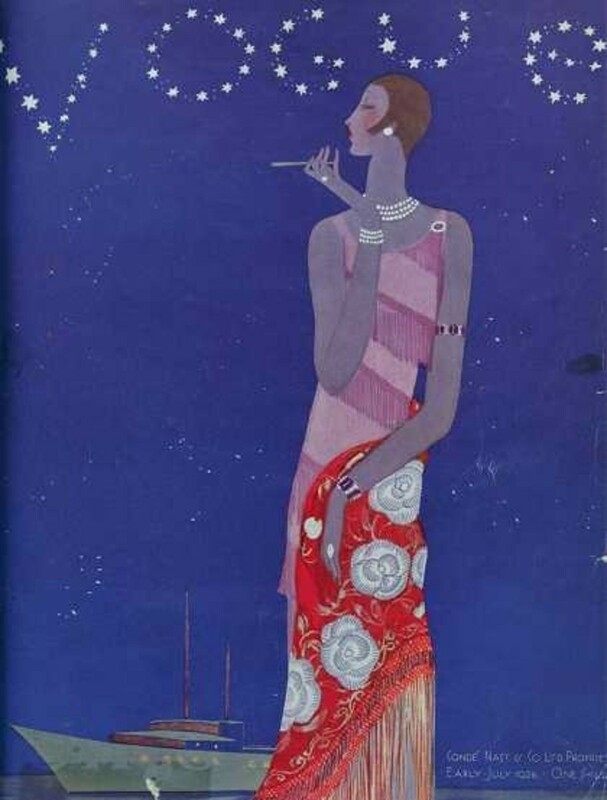 Another well known name of the time is the fashion illustrator and designer Erté, who created images of Art Deco ladies that were glamorous and sophisticated. He not only created striking illustrations, but also designed sets, costumes, and programs for everything from the Folies Bergère in Paris to Hollywood productions for MGM. If there is one enduring symbol of Art Deco it would have to be the skyscraper, especially the Chrysler Building in New York. Built from 1928-1930, the building exemplifies everything that the Style Moderne stood for. The fast-paced forward looking Jazz Age is evident in the driving force behind the building's construction: to be the tallest structure in the world. The Chrysler Building did indeed achieve this glorious feat, although it only held the title until the completion of the Empire State Building 11 months later. Architect William Van Alen's masterpiece is a tour de force that employed the bold geometry and vertical thrust of the Art Deco movement to create one of the most exquisite examples of the genre ever constructed. It seems no accident that this architectural tribute to the Machine Age was built for an automobile company, since the expanding car culture in America was certainly a key part of the fascination with speed and movement that characterized the era. There were many facets of the Chrysler Building that were designed with the automobile in mind. For instance, on the 31st floor, the exterior corner decorations are modeled after the radiator caps on a 1929 Chrysler. The stylized eagles on the corners of the 61st floor are based on the hood ornaments of the same model year. 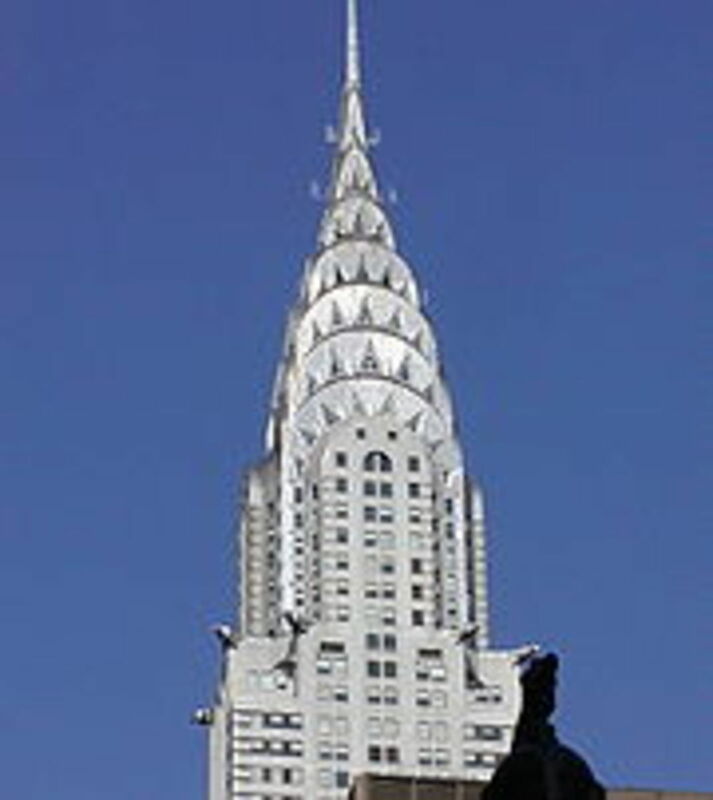 The crown and spire of the Chrysler Building are impressive displays of Art Deco design at the highest level. The terraced crown features a series of radiating arches set in the stepped back form that was so popular at the time. Additionally, the crown is ribbed in the famous Art Deco sunburst motif, and inset with numerous triangular shaped windows. Finally, the entire crown is clad in gleaming stainless steel. It should be noted that the interior of the skyscraper is no less magnificent than the exterior. Of particular note are the one-of-kind wood inlay doors on the elevators. This spectacular piece of architecture more or less hits on every high point of Art Deco design; it is no wonder that in 1976 the Chrysler Building was declared a National Historic Landmark. There are many more fine examples of Art Deco architecture around the world. Perhaps due to its association with movement and progress, Art Deco became the preferred style for train stations and luxury steamship liners like the Normandie. The glamor and drama of Art Deco also made it a perfect fit for elegant theaters and movie houses. The soaring lines of the Golden Gate Bridge are another example of the principles of Art Deco design brought to life. There are also numerous fine buildings in the Art Deco style in other countries, especially in Brazil and Cuba, which happened to experience building booms during this period. Alas, all good things must come to an end, and the stock market crash of 1929 brought the Jazz Age to a crashing halt as well. The start of the Great Depression essentially marked the end of the Art Deco period in Europe, but it was to continue in the United States through the 1930s. As styles do, Art Deco evolved, at least in part as a response to the economic conditions of the 30s. This second phase of Art Deco is sometimes called Streamline Moderne or Depression Deco. It bore many of the same stylistic hallmarks of the Art Deco design of the 1920s, but with some refinements. During the depravation of the Great Depression, opulence no longer reined. However, Americans still desired glamor, as an escape from the news of the day; this ushered in the Golden Age of Hollywood. Optimism and modernism were still in vogue, but the aesthetic of Streamline Moderne was pared down and more minimalist. This transition can be readily seen in the clothing of the 1930s. 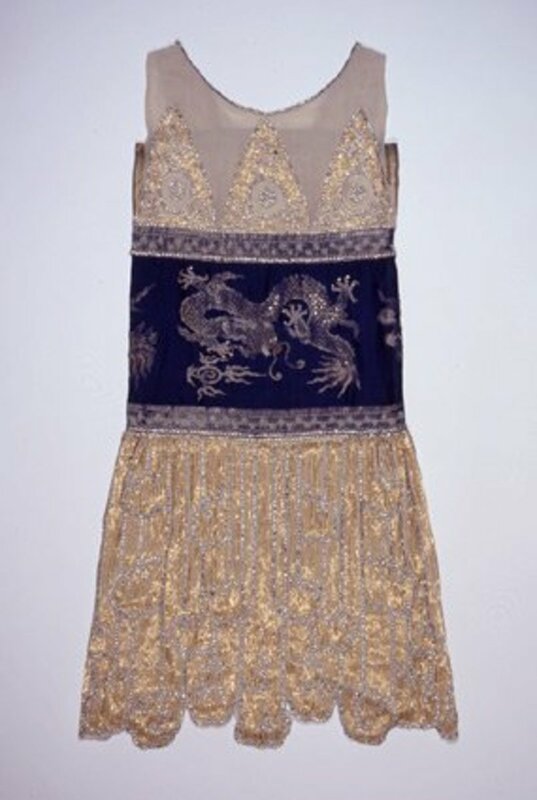 The sequined shift dresses worn by the flappers of the Roaring 20s were no longer in vogue. 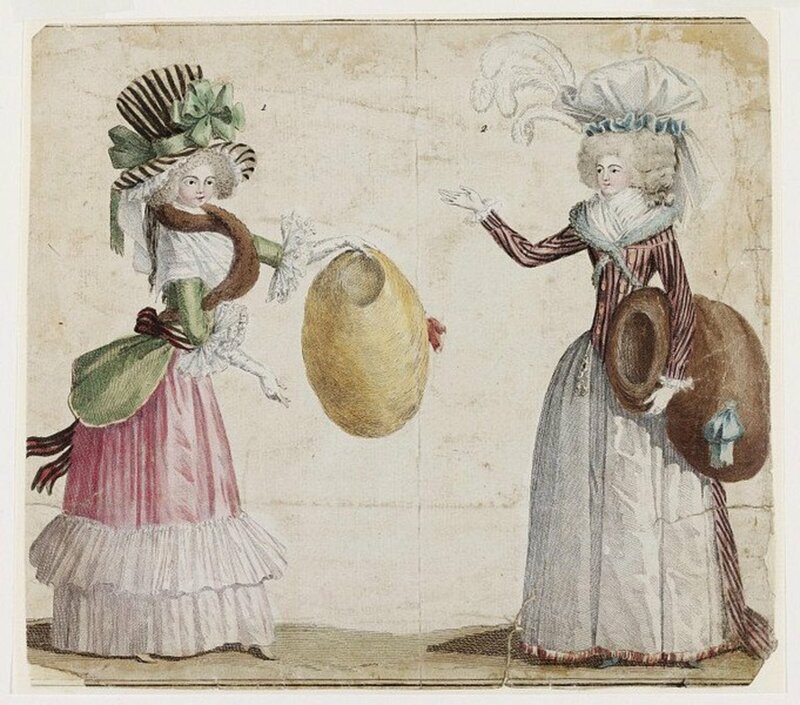 Hemlines dropped back down and the dresses were unadorned. Slinky and sleek silk charmeuse or draped satins were the fabrics of choice for 1930s screen sirens, such as those by Coco Chanel. Some really interesting Art Deco shapes were often included in the seaming of the fabric, such as triangular insets or chevron designs. The dresses of the second phase of Art Deco were less ostentatious than those of the Jazz Age, but they exuded a cool sophistication. Architecturally, the pinnacle of Depression Deco would have to be the buildings of Miami Beach. Built in the 1930s, the hotels and residences in Miami Beach showcase the pared down style of the Streamline Moderne movement. The buildings are cleaner with far less ornamentation than the Chrysler Building. They feature the same fascination with geometry and repetition of form that marked the early stages of Art Deco, but with smoother lines. Rounded corners are another signature of Depression Deco, not only in architecture, but in all manner of industrial design and household goods as well. To put it another way, all of the unique qualities of Streamline Moderne can be perfectly summed up by one 1930s Bakelite radio. The wonderful thing about the Art Deco movement is that it has withstood the test of time. No less breathtaking today than it was in 1925, the designs of the Art Deco period were extremely influential on the art and architecture that was to follow. Even today, the jewelry that was created in the Style Moderne is still very popular, and is highly collectable. From the diamond and platinum link bracelet worth tens of thousands of dollars to the humble Bakelite bangles snapped up at flea markets, Art Deco jewelry is among the most instantly recognizable and the most desired. 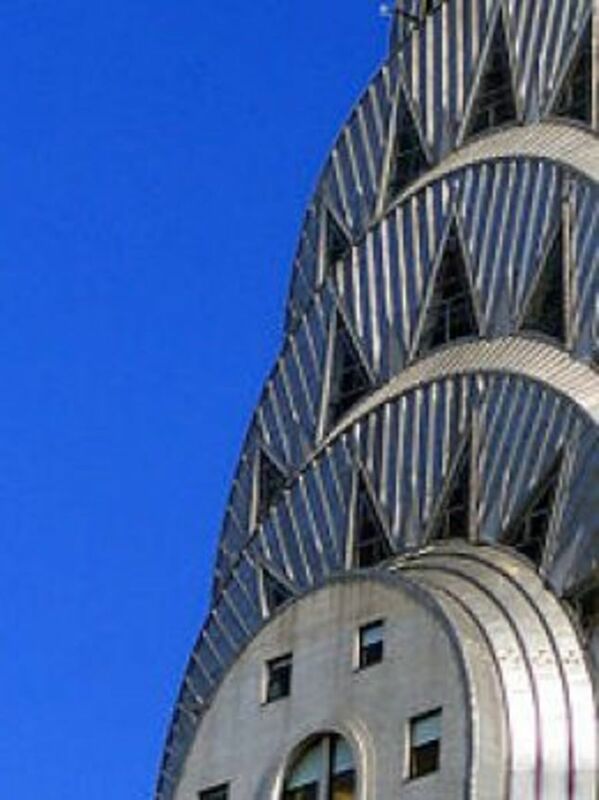 The stand-out monuments to the Machine Age, such as the Chrysler Building are some of the most famous and iconic buildings ever built, and they continue to have the power to impress and fascinate. The optimistic modernity expressed in the soaring lines and geometry of Art Deco perfectly capture the spirit of progress in the United States and in nations around the world. The Art Deco period is so inspirational. I love everything about it. Thanks for spending the time building this. The art deco bracelet is just breath taking. Thank you for sharing this article with us. I love art deco - diamonds and art work and the architecture as well. My favorite is the artist Erte. Wonderful Hub. I never attributed the humble Bakelite to Art Deco....interesting. You certainly did your research. Thank you! Rated it up and useful too! Wonderfully written! Well done! 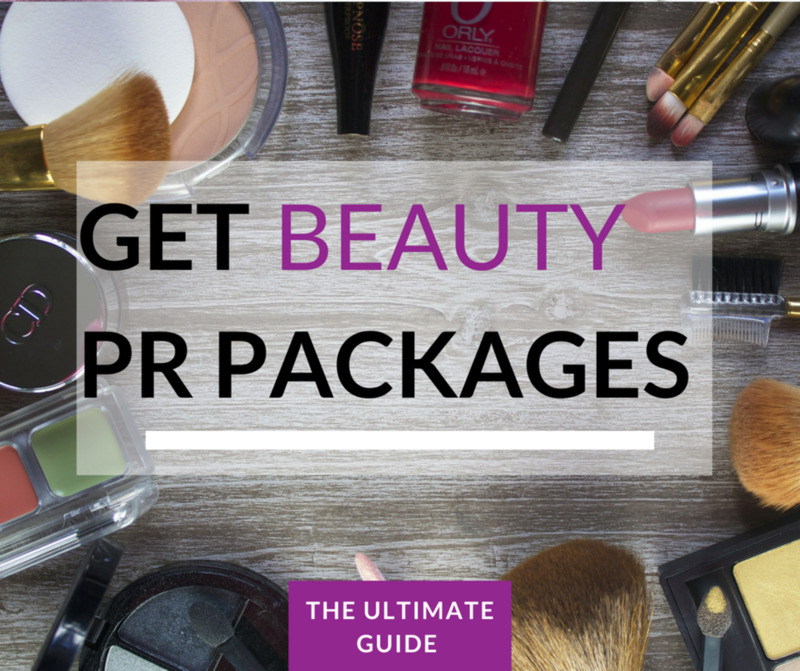 Very informative and educative. Thank you so much for all the research done, the layout and all the effort made. Thank you for your professionalism. I've voted it up, ilikeited it on Facebook and have joined the club of your hubfollowers. I am eagerly waiting ro read more hubs like that. I also especially liked the one about the Roaring 20s. I recently got acquainted with that amazing era through a novel myself, but this has been very educative. Thanks. how much did u research to write this !! bt really great effort !